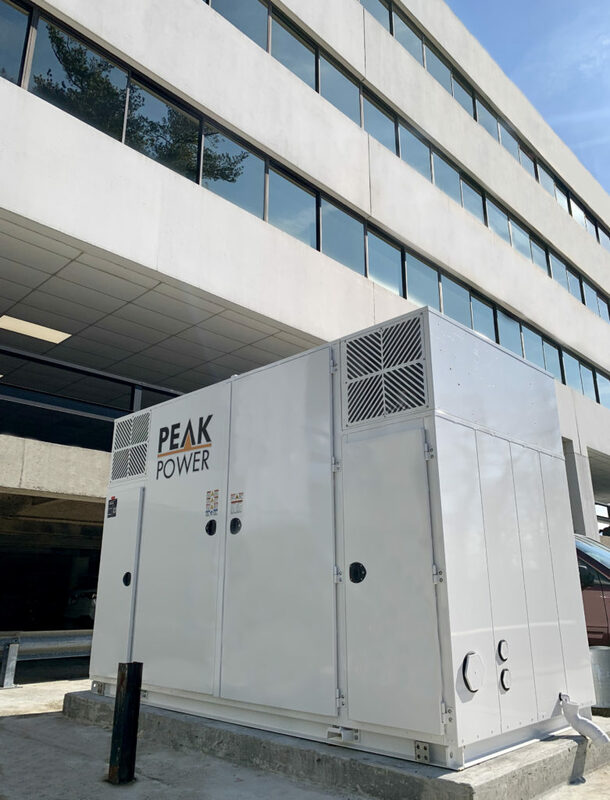 WHITE PLAINS—GHP Office Realty, LLC, a division of Houlihan-Parnes Realtors, LLC, announced recently it has successfully completed the installation of 375 kW / 940 kWh of battery energy storage at its headquarters at 4 West Red Oak Lane here. This project represents one of the largest energy storage installations in a commercial building in New York State, and the first project of its kind funded through a Con Edison Energy Efficiency program, GHP Office Realty officials noted. This project was implemented with Peak Power Inc., a leading energy services provider based in Toronto. The battery energy storage system features Lockheed Martin’s Gridstar 2.0 energy storage technology and Peak Power’s intelligent software platform, Synergy, which uses artificial intelligence to forecast moments of peak demand on the energy grid and stores energy for use during those peak times. GHP will receive significant long-term savings on energy costs and Con Edison’s burden will be lowered when the demand on their grid is at its highest levels on the hottest summer days, company officials stated. The project also utilizes Peak Power’s Building Insight Platform, which uses sensors within the building that are linked to a platform that uses algorithms and machine learning technology to generate predictive analytics. The BIP collects data from sensors (including temperature, occupancy, electricity consumption and HVAC consumption), then uses these metrics to provide building managers with efficient recommendations and mobile alerts. GHP is actively working with Peak Power to expand these green initiatives across its suburban office portfolio. GHP also utilizes other energy efficient solutions throughout its portfolio, such as: variable frequency drives that are installed wherever possible to reduce fan and pump motor usage, and energy-efficient LED light bulbs that have been installed in more than 735,000 square feet of GHP’s portfolio from obsolete T8 models, utilizing Con Edison incentive programs. GHP has also standardized the use of green cleaning products throughout their portfolio. GHP Office Realty has acquired, financed, redeveloped, leased, and managed more than six million square feet of office space. Regionally, the partners own and manage buildings in Westchester, Rockland, Fairfield (CT)and Bergen (NJ) counties.